ASTANA – The Almaty Bike automated system is scheduled to launch Sept.12, said Velocity.kz Public Fund President Almagul Kassymova. The rental price is expected to be the same as Astana Bike started two years ago, according to Kapital.kz. The bike is free for the first half hour. The fee from 31 minutes-one hour is 100 tenge (US$ 0.29); one-two hours, 250 tenge (US$ 0.74); two-three hours, 500 tenge (US$ 1.47) and more than three hours, 1,000 tenge (US$ 2.95). “You can use the free bike rental if you change bikes at various stations within the allotted time. The installation of the automated bike rental stations in Almaty will be implemented in three stages. In the first stage, there are plans to launch 50 stations with 270 bikes. One hundred and fifty stations with 1,460 bikes will be installed in the second stage. Then, the last stage is 100 stations with 680 bikes. At present, the preliminary map of the bike station placement has been developed. 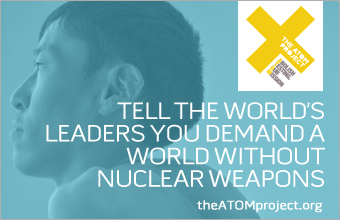 They will be located in the centre of Almaty near the metro stations,” said Kassymova. Almaty Akim (Mayor) Bauryzhan Baibek, who recently began biking, supports the project. “Almaty is the city of sports, tourism, medicine and the city of our intellectuals and we should pay more attention to the sport. It is important that our city must be convenient for the people, not for the cars, as part of the Almaty 2020 initiative and this is our motto. Today, we are going to reduce the space for private cars. Currently, there are 570,000 registered cars and, in addition, 200,000 cars come to the city daily from the Almaty region,” he said. The capital bike rental season lasts from April 15-November 1 due to weather conditions, according to the Samruk Kazyna Sovereign Wealth Fund. “The bike rental season can be year-round in Almaty, as a bicycle system with anti-vandal fixing can withstand temperatures from minus 25 to plus 40 degrees,” said a statement released by the fund. A bike’s weight of 24 kilogrammes not only offers the necessary mechanical properties, but also protects against vandalism. All bicycle components are made in France and cannot be removed and installed on any other bike. 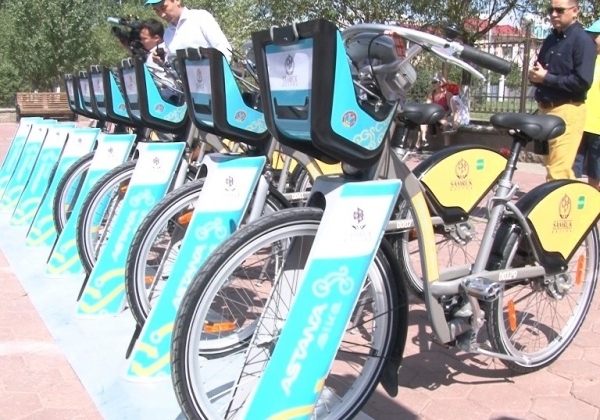 The Astana Bike project does not require a connection with the city communications, as it works on solar energy. The first stage was composed of 40 stations with 200 bikes. Last year, an additional 110 rental stations were opened and a bike park has increased to 1,000 units. “There was a fundamental breakthrough from 20,000 trips per month last year to 88,554 trips in a month this year. Last year, 85 percent of trips were made for free lasting less than 30 minutes and 15 percent paid in excess of a half hour. This trend can also be seen this year,” according to the statement. Due to the heavy workload, the card registration was suspended in July to avoid the inconvenience caused by a lack of bikes. Access to bike rental, bike use and activation of user cards registered last year has continued via SMS, available to all who wish to join the capital cycling community. A similar project, Shymkent City Bike, will be unveiled July 9.